If you are a pet lover, you know that the comforts of your pet do come at par with the comforts of all the other members in the family. From the right nutrition to regular vet visits keeping our furry friends, whether four-legged or two-legged, happy and healthy is a priority for all pet carers. Of course, there’s walking them, taking them along on pet-friendly vacations and lots of tender loving care included but above all, you should have your homes (re)designed to accommodate your pets the best. In the end, home is where your pets spend the most of their time. So, here are some excellent tips on how to have a pet-friendly home so that your furry and feathery friends have a good life. 1. Focus on pet-friendly furniture and invest in well thought-out choices in terms of fabric, upholstery, and design. For example, a home with a pet should consider stain-resistant fabric, slip-covered furniture, light-coloured and synthetic fabrics. Make sure that your furniture is both stain and scratch resistant, hence, avoid anything with velvet, silk, tweed, suede, etc. Keep in mind not only shedding hair or fur but also dander and odour related issues and buy furniture accordingly. 2. Put a lid on that trash can and you might stop your mischievous dog or cat from pawing the old food in there. Even curious birds are known to pick on the treasure trove of a trash can. You should exchange your short wastebaskets and instead bring in tall trashcans with lids for your kitchen, bathroom, etc. Better still, place them behind a cabinet to avoid accidental knockings. 3. Choose floor tiles instead of carpets even though you love the new gift from your friends. Carpets are guilty of absorbing, stink, stain and all kinds of fur. They are also not durable enough to resist scratches and even rugs get ruined easily. Sturdy ceramic and porcelain tiles are a good option for homes with pets. However, if you have trained your pet well, you could have a cosy, carpeted corner or room to yourself. 4. Replace your medications, cleaning liquids and other toxic products to higher shelves or places that are completely out of the reach of your beloved pets. In fact, a lot of regular human food is not healthy for pups or kittens. Consult your vet about the restricted items and remove them from accessible areas to keep your pets safe and healthy. 5. Use the nooks and corners smartly and create cosy havens for your little friends. The bottom section of cabinets and narrow corners make great spaces for pet homes. They can snuggle inside these spaces in any of your rooms and also remain out of sight in terms of your interior decor and also out of the way to avoid stepping and falling over by the rest of the family. 6. Keep small pet treats nearby for quick rescue from exhausted running around and playtime. Pets tend to gnaw, chew or scratch things when bored hence, little treats such as dog bones, knot ropes, chew toys, feather whips, etc. placed around the house will keep them on track. Also, it helps you to quickly distract them with a treat. 7. Give them a window view but remember to install a safety mesh or screen. Pets who stay indoors most of the time would love to have a view of the outside or simply bask in the sunshine. Arrange suitable seating for your pet to have a comfortable window-side resting area. Make sure the safety boxes are checked so that an open window does not cause an accident or disturbance for neighbours due to excessive barking. 8. Don’t forget the wall paint and texture. Highly-textured walls can — and will — attract pet fur and it is an uphill task to clean them. Therefore, consider satin finish or semi-gloss paints for continued shine and minimum fuss. 9. Don’t forget to pet-proof your house. Make sure you cover, low electric plug points and sharp furniture corners that can bruise them. Remove breakable items to places where they are safe from accidental toppling over. Secure all choking, electrocution, strangulation and suffocation hazards. 10. Get your pet its own cosy corner. 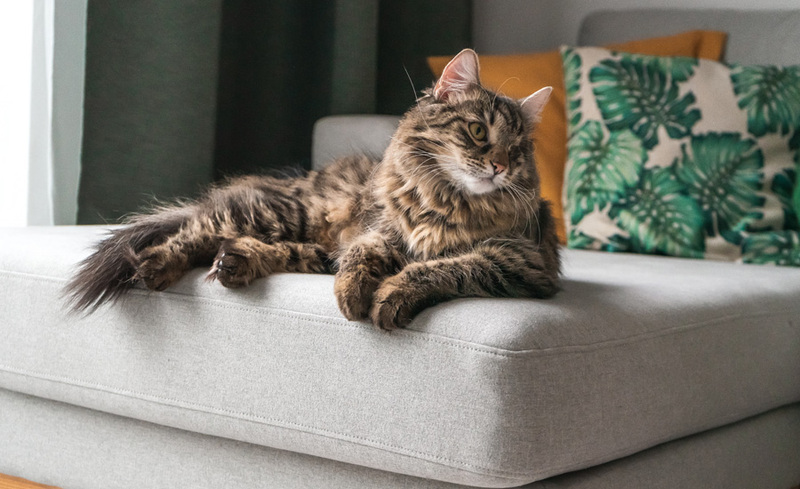 The ultimate tip for a super pet-friendly home is to have a designated space for your pet, a throne of their own. Install a cosy and comfortable bed or downy mattress in a designated space tucked away in a corner or an inconspicuous part of the house. Like us, our pets need a place of their own for a safe and relaxed feeling. Many animal experts opine that a pet needs its own place to rest and recoup. 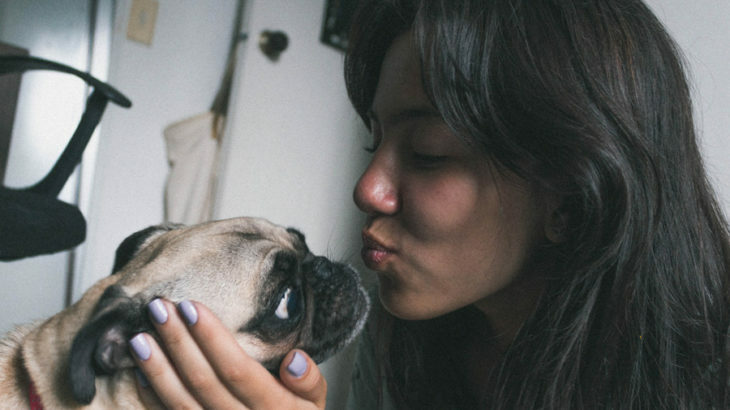 When you love your pet, odds are you would care enough to make these necessary variations to your home for a pet-friendly environment. Community, Home Decor, Uncategorized. permalink.